As one of the best MBA colleges in Europe, MBA ESG aims to develop professionals who are job-ready when they graduate. The courses at MBA ESG, Bangalore are exclusively designed by French industry professionals who have mastered in their area of specialization. Our programs focus on developing the right skills and attitude essential to succeed in their desired career. 30% of the faculty is French who teach core subjects and specializations, which ensures students get a global perspective of the industry and are well-equipped to face the challenging, ever-changing, and fast-paced environment of an organization. 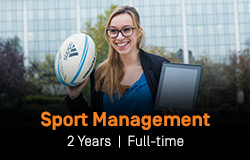 MBA ESG currently offers MBA in Sport Management, MBA in Luxury Management, and MBA in Hospitality Management. Click on each course below to know more. A Job or an MBA after Graduation? In India, parents put a staggering amount pressure on their children to either get a good i.e. a high-paying job or get into one of the top 10 colleges for MBA i.e. the IIMs. Getting an MBA after graduation is a good option, especially when you are absolutely sure of the career path you wish to take. The MBA course will thus help you prepare for the career you’ve planned for and get you a lucrative job in the field afterwards. More importantly, an MBA degree is your ticket to enter the workforce at a higher and typically managerial level. It says that you have business knowledge and are capable of handling the industry’s demands. The paradox here is that work experience will help you understand path your career path should take but an MBA will help you get a better job. So how do you choose between the two? The short answer to this dilemma is ‘go for both’. It is always good to have some kind of work experience before pursuing an MBA program. However, make sure it is in the field of your choosing. Internships are a great way to gain valuable work experience and you can take them up while you are working towards your Bachelor’s degree. This way, you’ll have amassed experience by the time you graduate and can take up an MBA course immediately after. A Master in Business Administration or MBA course is the most common degree that students choose after their Bachelor’s. An MBA degree will equip you with the skills and competencies required for a managerial role. While technical prowess will get you into the workforce, managerial skill will put you on the fast-track to success. Hence, MBA courses are highly sought out by graduates. The biggest advantage of an MBA is that it can be pursued even after gaining a significant amount of work experience. Executive MBA courses provide add-on skills that will boost one’s career graph significantly. Most, if not all, MBA colleges in India do not require students to have prior work experience before enrolling in any of their MBA courses. All you have to do is qualify in their entrance exam, and voila, you’ve secured yourself an MBA seat. There are, however, MBA colleges that qualify students based on their interest in the field rather than any exam score. When it comes to career growth, all jobs boil down to one thing – management. It is only with management skills that you can move up the organizational ladder. If you are vying for a coveted managerial position, then first understand the business side of the organization. And this is possible with an MBA degree. Of course, most of it comes with experience. But an MBA degree will hasten the process and equip you with the necessary skills to grasp managerial concepts quickly and better. The main reason people opt for an MBA program is the scarcity of high-paying jobs and good positions for those with a Bachelor’s degree. Job growth with an MBA is dynamic and varied whereas, with a technical degree, it’s more linear. It is easier to get into the fields of business and administration with an MBA degree than a Bachelor’s. With an MBA, you can turn into a team leader, project manager, business development manager, administrator, HR, etc. 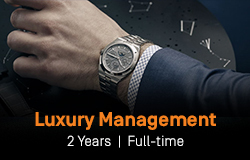 A career in Management can be quite lucrative provided you choose the right specialization. Pursuing a Management course will ensure you stay in the top league of the organization and provides more chances for growth. 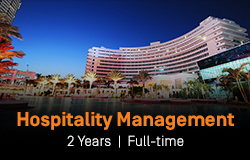 Career opportunities with a Management degree span across multiple domains. While the fields in which you choose to follow your career may differ, the job roles in them remain the same. For instance, the designation of an Operations Manager is same but the responsibilities differ from industry to industry. What’s the Next Big Thing In MBA? Finance, Marketing, and HR are some of the most common MBA courses that are chosen by students. There is a glut of talent in these areas and a lack in more specialized ones. The good news is that most MBA courses are no longer focussed on drab subjects that anyone and everyone can do. Today, MBA has branched into concentrations that cater to the jobs and industries of tomorrow. Emerging industries in India include Sports, Luxury, and Hospitality. It is moving away from conventional subjects and focusing on fields that demand up-to-date talent. Over the last few years, India has been at the helm of serious economic and social development. This development has enabled it to shed its conventional image and open doors to new opportunities. Engineering is one of two career paths (the other one being Medicine) that students most likely choose after class 12. This trend has continued for a long time and will perhaps remain the same for the next millennium or so. Even though there are plenty of degrees to choose from these days, most students still vie for an Engineering seat. Engineers graduates who have completed their degree can follow one of two options based on the line of work they intend to pursue. If they want to polish their technical skills further, the best they can do is an M.Tech or M.E. If they want to get into a more managerial position, then an MBA course is the right way to go. They can choose between marketing, sales, human resources, operation management, and finance. They can also take the road less travelled and seek out degrees in non-conventional fields such as Sports, Luxury, Hospitality, Event Management, Artist Management, etc. A well-structured MBA course will set them on a path of success and mould them into capable leaders. In challenging business environments that demand quick decisions, such leaders will turn out to be valuable assets.